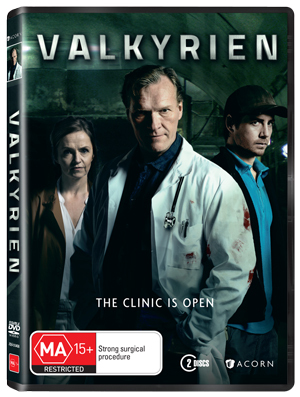 Win Norwegian thriller 'Valkyrien' on DVD | Daily Review: Film, stage and music reviews, interviews and more. Ravn, a respected physician, is desperately seeking a cure for his dying wife, Vilma. When the hospital stops her treatment, Ravn continues working in secret. He is aided by the corrupt civil defence man Leif, a doomsday prepper and former patient of his. Deep underground, Ravn and Leif open an illegal clinic for treating off-the-grid patients. The clinic finances Ravn’s research into a cure for Vilma, while Leif increases his position among the criminal and the paranoid who live outside the welfare state. Valkyrien is an eight-part series described by the New York Times as: “A high-concept thriller which will have you gripped from the start.” It won Best Drama at the Norwegian TV Awards and will be aired on SBS this year. Daily Review has five copies of the full first series on DVD to give away, released in Australia on October 4. For your chance to win, enter your details here and make sure you’ve liked us on Facebook to boost your chances of winning. 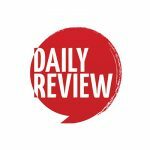 This competition is promoted by dailyreview.com.au and will be drawn on 13/10/2017. The competition is open to residents of Australia and New Zealand unless stated otherwise. Information on the method(s) by which the competition can be entered are found here. Daily Review does not endorse, take responsibility for or provide a warranty of any kind for the prize(s) offered in this promotion, nor do we provide any transportation or accommodation that may be necessary. By entering this competition, you allow Daily Review to share your contact information with the company/companies providing the prize(s) to enable delivery of the prize(s). I’m a real fan of Scandinavia Noir whatever form it takes – books, TV series, films eye etcetera . Scandi Noir – what’s not to like . . . The Bridge, The Killing, The Eagle, Occupied, Trapped, etc. So many and all so seductively good. Always enjoy a good thriller esp from Scandinavia.